Henry Purcell was the son of Thomas Purcell a court musician and Chapel Royal Chorister. Apprenticed to the Keeper of the King’s Keyboard and Wind Instruments. 1660: In May King Charles the Second arrives back in London after the Interregnum. In July John Hingeston, Purcell’s godfather was appointed as the Tuner and Repairer of His Majesties Wind Instruments. 1663: Birth of his brother Daniel who was also later to become a composer. 1680: Began writing incidental music for plays at the Duke of York’s Theatre, London by William Congreve and John Dryden amongst others. 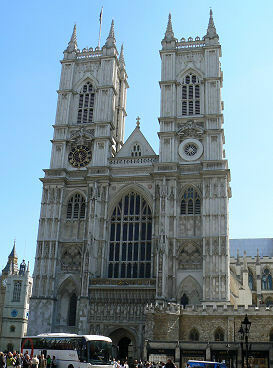 1661: His father is appointed as Master of the Choristers at Westminster Abbey. (April) Coronation of King Charles the Second. 1662: Purcell’s Uncle Henry appointed as Composer in Ordinary to the violins. 1664: Death of his father. He is then looked after by his Uncle Thomas. 1668: Purcell becomes a chorister in the Chapel Royal. 1670: Purcell completes his first composition in honour of the King’s birthday. 1673: He is taken on as an assistant to John Hingeston. Retires from the Chapel Royal choir. 1677: In September he is appointed Court Composer after the death of Matthew Locke, a friend of both his father and Uncle. 1679: Henry Purcell’s first sacred works are produced early in the year. Appointed organist at Westminster Abbey. 1680: Composes the “String Fantasias”. 1681: His first child Henry survives for only a few days after baptism. 1682: Appointed as one of the organists at the Chapel Royal. Death of his uncle Henry in July. Birth of his second child which again only survives for a few weeks in August. 1683: First publication of “Sonatas of Three Parts”. In July “From Hardy Climes and Dangerous Toils of War” was first performed for the marriage of King Charle’s niece Anne. In December he succeeds John Hingeston as Keeper of the King’s Keyboards and Wind Instruments. 1685: “Why are all the Muses Mute?” first performed for the new King James the Second. Composed the anthem “My Heart is Inditing” for the Coronation. 1686: His third child dies in infancy. “Ye Tuneful Muses” performed for the King’s birthday on 14th October. 1687: His fourth child is buried after only surviving a few months. 1688: Composes eight songs for “A Fool’s Preferment” a comedy by Tom D’Urfey. In May his fifth Child Frances is born. In December King James flees England. 1689: Coronation of William and Mary on 11th April. Sixth child Edward born in September. “Dido and Aeneas” first performed at Josia Priest’s School for Young Ladies in London. 1690: “Arise my Muse” performed for the Queen’s birthday. In May King William reduces the number of court musicians. 1691: King William visits Holland taking most of his musicians with him. “Love’s Goddess Sure was Blind” performed at the Dorset Garden Theatre in April. In May “The Fairy Queen” premieres at the Dorset Garden Theatre. 1692: “Hail Bright Cecilia” performed on St. Cecilia’s Day in November. 1693: “The Double Dealer” play is performed at the Theatre Royal Drury Lane in November containing music by Purcell. In December his seventh child Mary Peters is born. 1694: In November “The Way of God is an Undefiled Way” is performed to welcome King William back to London from the war in Flanders. “Te Deum” and “Jubilate” performed for St. Cecilia’s Day. 1695: The funeral procession of Queen Mary on 5th March is accompanied by music by Purcell. In April “Abdelazer or the Moors Revenge” with music by Henry Purcell revives at Drury Lane. In August “The Indian Queen” is first performed at the Dorset Garden Theatre. 1683: “Sonatas of Three Parts”. 1685: “My Heart is Inditing”. 1690: “Dioclesian”, “Arise my Muse”. 1694: “The Way of God is an Undefiled Way”. 1695: “The Indian Queen” , “Abdelazer or the Moors Revenge”.